Ohio Emergency Management Agency has announced a tornado shelter reimbursement program for FEMA 320 and FEMA 361 safe rooms and shelters. The program will reimburse 87.5% to approved Ohio residence. This type of program is familiar to one Ohio Company that is one of the leading tornado shelter manufacturers in the country. 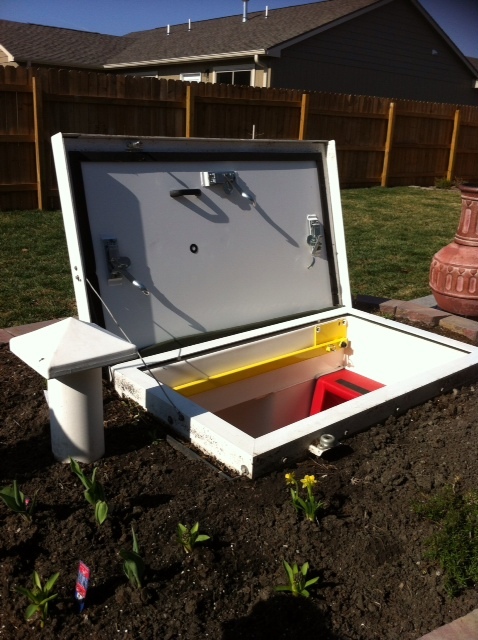 Granger Plastics Company located in Middletown, Ohio, manufacturers the longest lasting underground tornado shelter on the market, far outlasting steel, fiberglass and concrete. The durable polyethylene construction will last centuries. The Granger ISS also offers many benefits over inferior designs such as much easier installation that does not require additional anchoring, being practically maintenance free and never having to worry about problems common with other materials such as rusting, cracking, leaking or material deteriorations. Granger has participated in many rebate programs previously but this one is an opportunity not only for the residents of Ohio to take advantage of an incredible rebate, but also to support an Ohio manufacturer and stimulate Ohio jobs and growth. The Granger ISS meets or exceeds FEMA 320 and FEMA 361 debris impact standards. It is also meets or exceeds most all ICC 500 regulations. Granger Plastics Company is also offering a free custom color door upgrade to anyone receiving the Ohio EMA grant. Granger Industries and Granger Plastics Company has been an Ohio based business for over 18 years. Granger Plastics manufactures a variety of rotationally molded parts for a number of industries such as Aerospace, Defense, Shipping Containers, Intermediate Bulk Containers, Laundry Carts, Cemetery Vases and custom products of all types. The Granger ISS In-ground Tornado Shelter is a patented, propriety product of Granger Plastics which has continued to provide opportunity in Ohio for job growth. For media inquiries as well as tours and demonstrations of our capabilities and plant please contact Alli Cravens, Sales & Marketing at 513-302-4396. For information about the Granger ISS and assistance with grant applications please contact Toll Free (866) 510-9701 or (513) 424-1955 or feel free to visit www.grangerplastics.com or www.grangeriss.com . Granger Plastics is an advertiser in MacRAE’s Blue Book!! !